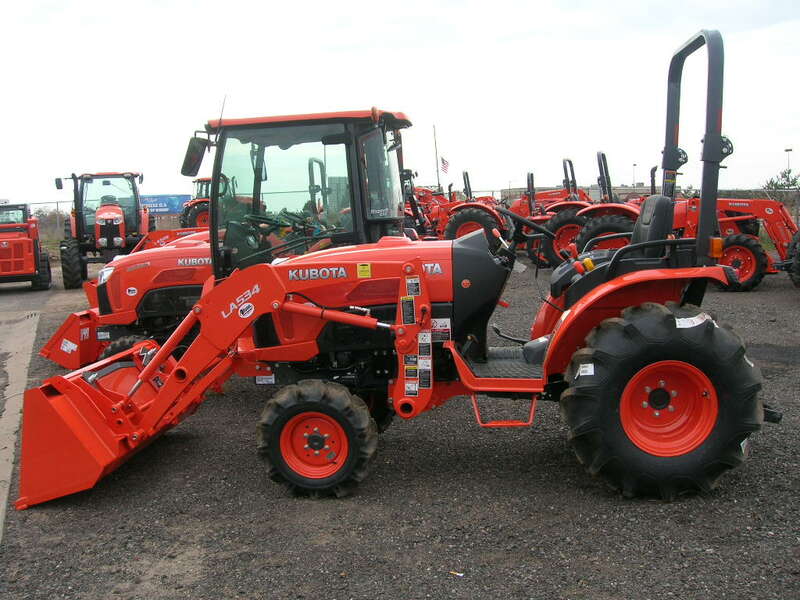 Are you searching new Kubota B3350 Compact tractor for buy? 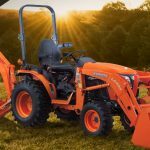 Don’t worry farmers, here I am going to present you Kubota B3350 Compact tractor Specifications, Price, Review, Key Features, Photos, and video etc. 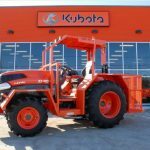 Here all things about Kubota B3350 searching on the site that information in I have presented here, which you should know about Kubota Tractor. The Kubota B3350 Tractor does best with an excellent performance match attachments and taking multiple operations. It has an E-TVCS, liquid cooled, 4-cylinder powerful Diesel engine. Its horsepower is 33HP. Combine the ease of use and versatility with power and reliability of renowned Kubota diesel engine and HST(3 ranges) transmission. The Engine is the Heart of any machinery, and without engine any machine no more. 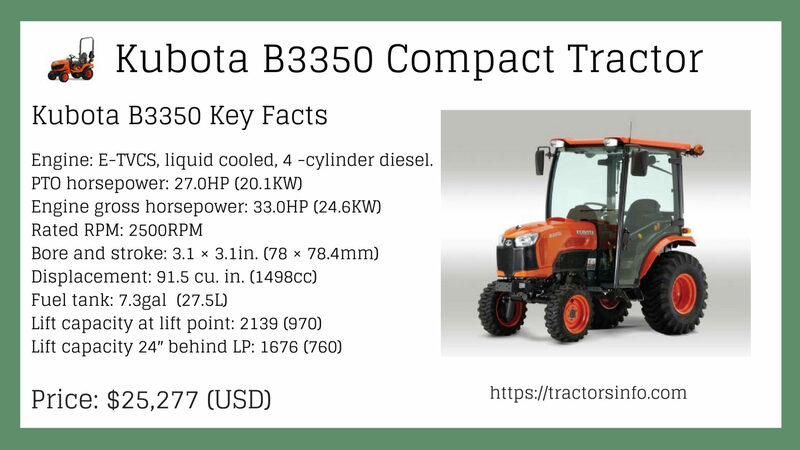 Everyone wants high power engine machine so here you know about the Kubota B3350 Compact Tractor engine performance and that main features. 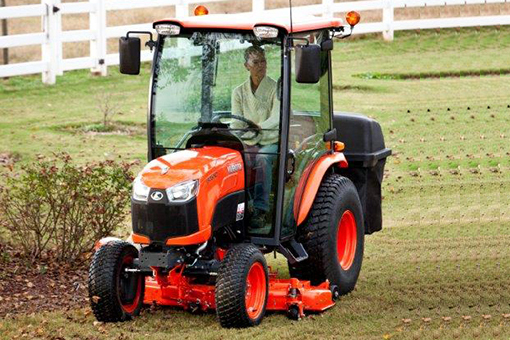 Kubota B3350 Tractor diesel engine is built for greater power with cleaner emissions. 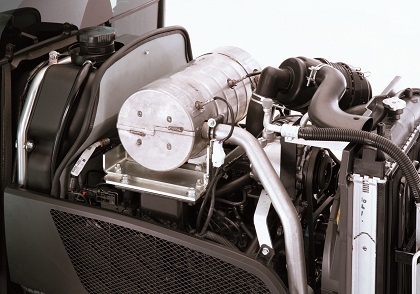 Its liquid-cooled E-TVCS (Emission-Three Vortex Combustion System) engine provides increased power and high torque for the tractor strength you need, while importantly lowering emissions. The (DPF) Diesel Particulate Filter Muffler commutes emissions to ascertain its compliance with the latest Tier IV emission regulations. 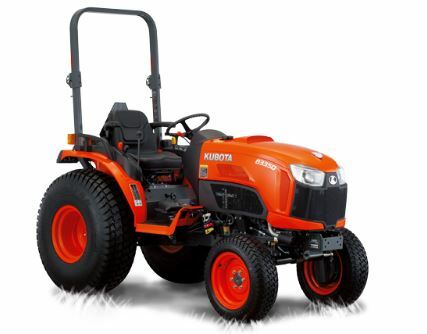 The Kubota B3350 Tractor has an HST(Hydro Static Transmission) Transmission, that is very smooth and reliable. It HST Transmission is clutch-less, and that good for easy farming operations. Its 3-range transmission provides excellent speeds to match your work. It has a multi-plate wet disc brake system and the brake pedal is positioned on the left side. 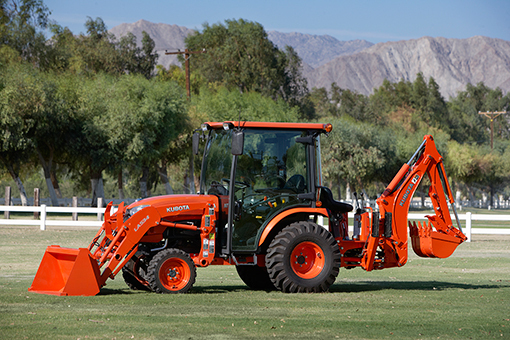 The Kubota B3350 tractor is compact tractor hydraulics system is powerful and reliable. 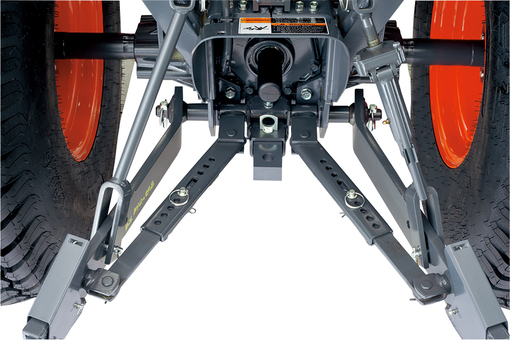 The lifting capacity at lift point is 2139lbs(970kg) and 24″ behind lift point is 1676lbs(760). That is great for loading and digging operations. 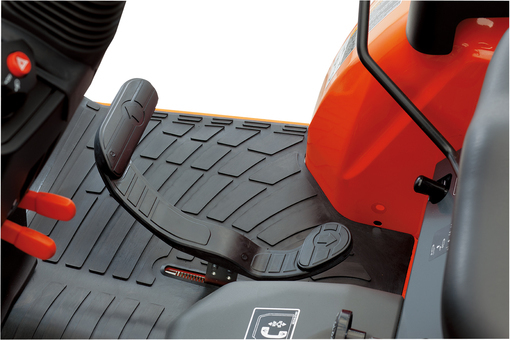 Kubota B3350 Compact Tractor tire is standard, durable and reliable. That is less slippage on the field because it provides standard grip and better traction. Its front tire size is 7-12 and rear tire size is 12.4 -16. 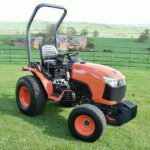 Kubota B3350 Compact tractor is a beautiful and small design cool compact tractor. It is a combination of two color Black and orange. Its Dimension more specifications you can see in the above specification table. It has an integrated CAB. 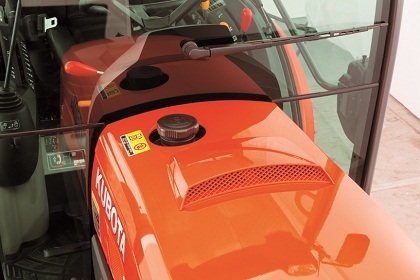 Kubota B3350 compact Tractor fuel tank capacity is 27.5 liter. It is well suited for long work no need to frequently refuel during work because it has a large fuel tank. The fuel tank filler has been shifted from the center to the right side of the hood to make filling easier. 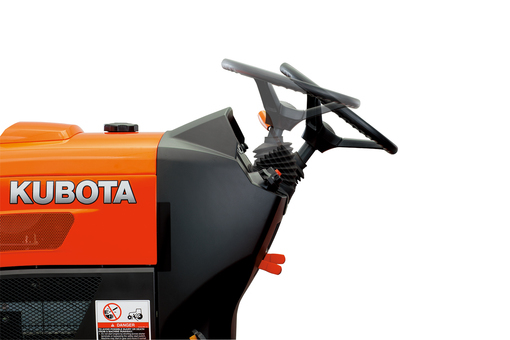 Kubota B3350 compact tractor Telescoping Stabilizers designed for rear implements. It is attaching and detaching rear tools have never been easy. Easily adjust the horizontal sway of the implement by aligning and setting the pin in the proper hole. 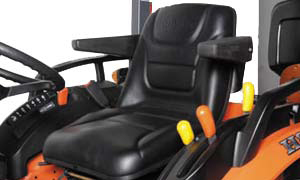 The Kubota B3350 compact Tractor new suspension seat is specifically engineered to absorb shock reducing operator fatigue to make your ride comfortable no matter what the circumstances. 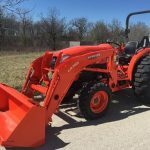 Kubota B3350 Compact tractor engineered with Hydrostatic Power Steering, This feature provides nimble handling while greatly reducing fatigue during farming work. 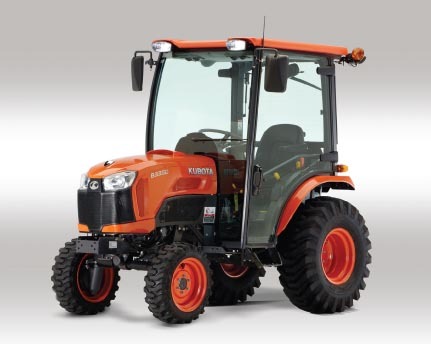 The Kubota B3350 is the first tractor in its class to engineered with the new integrated cab. The cab and over fenders are integrally welded to the body’s sheet metal parts which allow for a 4-pillar construction with rounded glass that offers more cab space and a wider field of view. The integrated design also eliminates holes in the floor for the pedals for an environment that reduce noise and unwanted dust from entering the cab for greater comfort. It has an air-conditioner, keeps you cooler on hot days and the heater keeps warmer on cold days for year-round environment comfort. 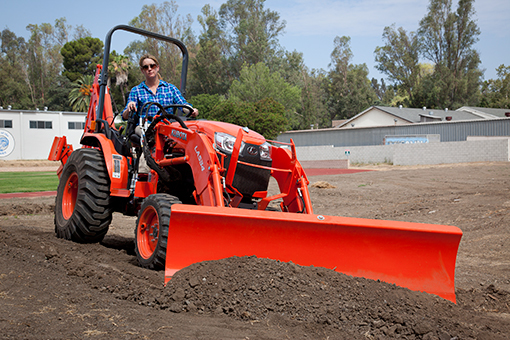 The Kubota B3350 compact tractor designed with LA534A front loader. 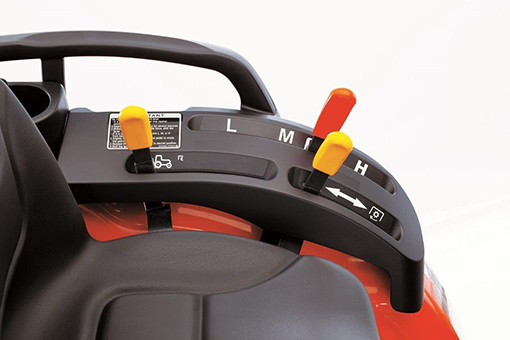 That provides a large lifting capacity, perfect for landscaping or light utility work. The curved boom matches the new hood design for a sleek and modern appearance and provides a better field of vision during front loader operations. 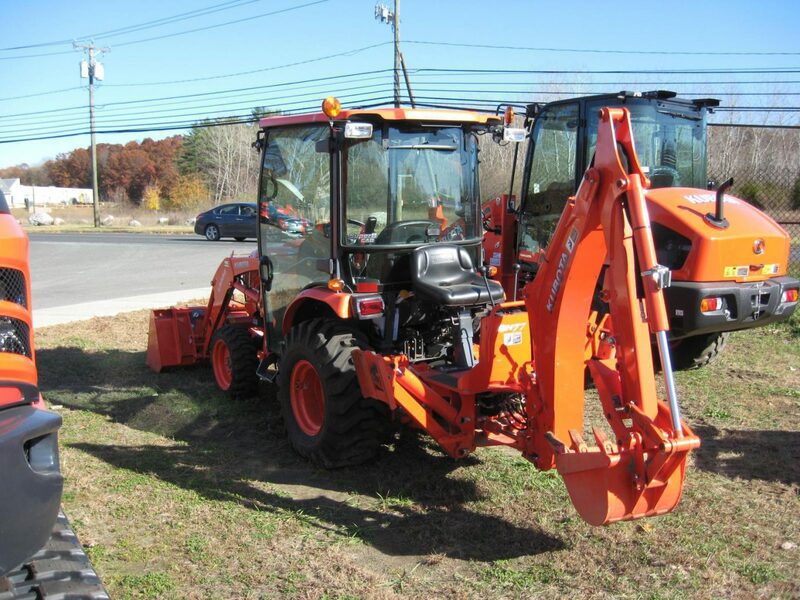 The Kubota B3350 Compact tractor designed with BH77 Backhoe. That offer more power and greater digging capacity. It’s Key features such as curved boom, protected hoses, quick attach/detach mounting system, and optional 6-position mechanical thumb. 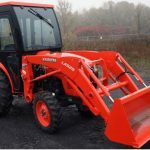 Here in this video, you can see in The Kubota B3350 Tractor each part information such as steering, Front Tire, Back Tire, Front Loader, Seat, etc. The New B3350 tractors take compact tractor capability to the next level with user-friendly operation and outstanding productivity. 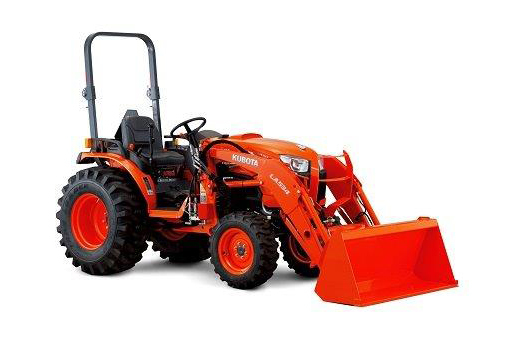 Equipped with high-quality Kubota engines and transmissions, they deliver the extra durability and reliability you demand a wide range of jobs. 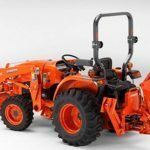 I Hope you like this article because I tried to mention all the information in details about the Kubota B3350 tractor. But if you have any query about this model, then please comment in the below comment box my friends I will solve your problem as soon as possible. Thanks for visiting our site, my friends.